Owning one of the largest collections of Maserati’s in the world, Doug Magnon drove his cars, they didn’t sit. Doug’s museum, Riverside International Automotive Museum, maintains the experience of the era, not just a group of cars. 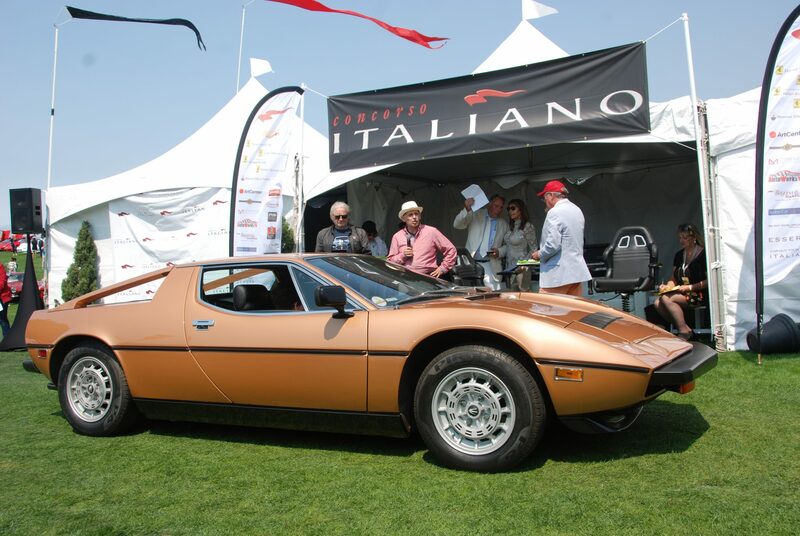 The Doug Magnon Preservation Award is for the Maserati owner that is never tempted to upgrade or enhance his car, but is always tempted to take it on long winding roads. Preservation doesn’t mean it is factory concours perfect, it means the driving experience has been preserved. There may be a lot more miles on the cars than when it left the factory, but the thrill is the same. Colin Craig receiving the inaugural Doug Magnon Award being presented by Adolfo Orsi.